With helicopters in position throughout the North West of England we can have a helicopter ready to hire or charter a short notice. Helicopter hire Liverpool provides a quick and easy method of air travel for clients needing to charter a helicopter for business or pleasure. The benefits of helicopter hire is you don’t always require to go to Liverpool Airport as you can be collected from your chosen location. Helicopter hire Liverpool with us a Charter-a Ltd and allow us to provide you with the correct advice and provide helicopter prices for your requirements. If your arriving by private jet to Liverpool Airport why not have a helicopter transfer to take you on to your final destination. 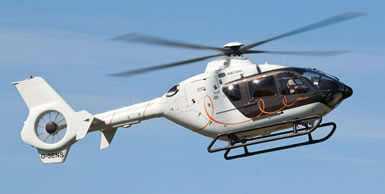 The helicopter will be parked next to your private jet at the airport with crew ready to depart. No waiting time, door to door service and no delays – what more would you want if you need to get to that all important business meeting or perhaps wanting to get to Anfield or Goodison Park to watch your team in action. Helicopter hire to and from Liverpool is a service we at Charter-a provide on a regular basis so please contact our team today for advice and a no obligation quotation.